Atlanta residents: have y’all heard of the pastry excellence that is Pie Shop? We were so excited to see their feature in Southern Living this month after Pretty Southern met its fabulous owner Mims Bledsoe this summer. Pie Shop is located in the heart of Buckhead, Pretty Southern has been privileged to watch this business gain well-deserved fame since opening in June. Pie Shop was named “Best Pie of the Big A” by the AJC and we were fortunate enough to help sponsor the shop’s first unofficial happy hour. Complete with 15 different types of pie, BYOB and lots of good folks and Yelpers the Pie Shop’s first happy hour was a great success. 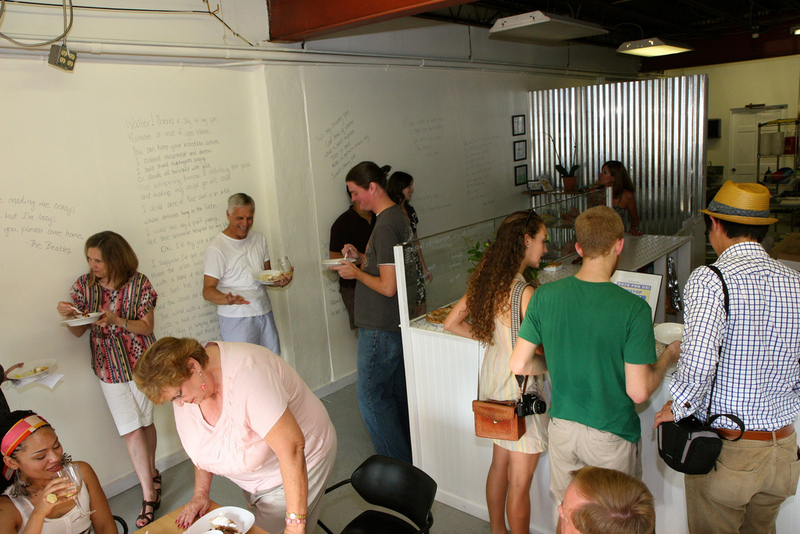 Folks young and old from all different walks of life congregated to appreciate the simple art of homemade pie. We came, we ate, then left with happy stuffed faces. 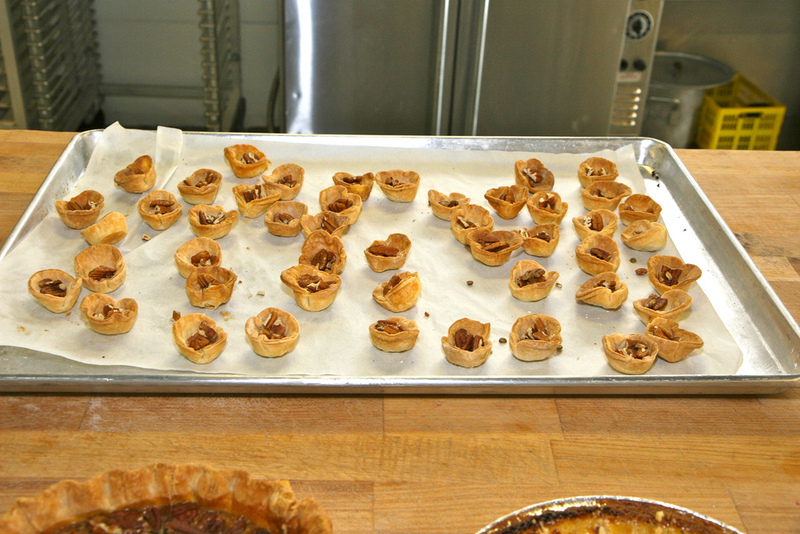 For a brief history on Pie Shop click here! Y’all can read more about how this young woman’s gumption and appreciation of all the sweetness life has to offer inspired her to start Pie Shop. It’s an arduous task for anyone in this economy and Mims is making it work. For so many restaurants and small business have succumb to a tough round of financial wringing, but with great pie and a simple business concept it appears Pie Shop has a can-do-it attitude comparable to the Little Engine That Could. As Southerners, and pie lovers, we’re happy to be along for the ride. The photos speak for themselves. 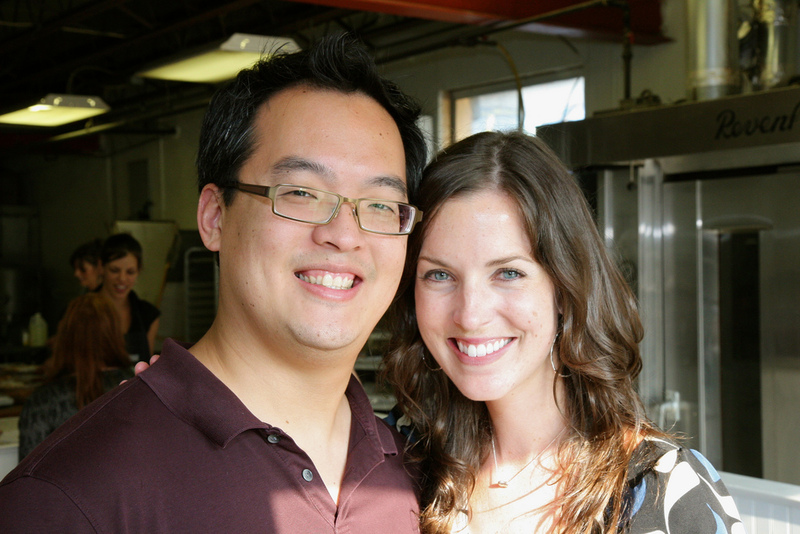 Scroll below for a look at Pretty Southern and Pie Shop’s first happy hour. 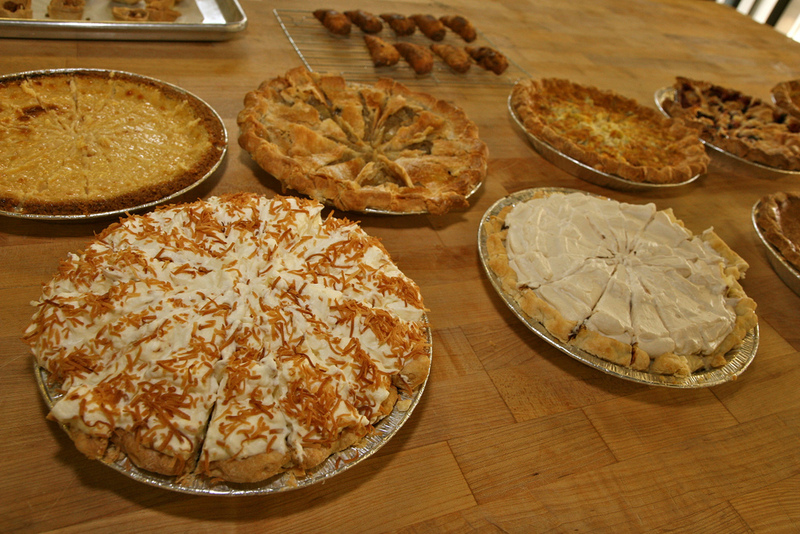 Pie Shop's amazing treats just waiting to be devoured. 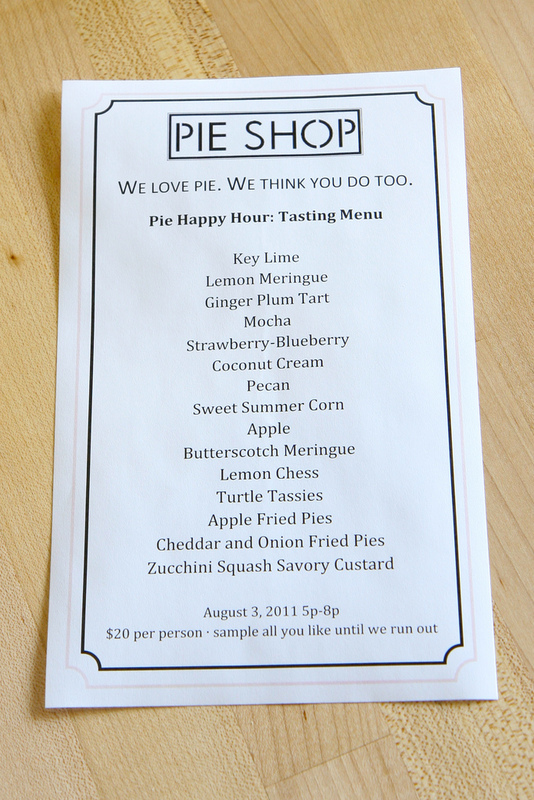 Pie Shop's happy hour menu prepared just for us! So what’d ya think? Were you able to make it out and want to come again? 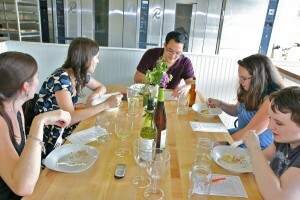 Anyone out there interested in doing another tasting for Thanksgiving? Please let us know in a comment below!